Last year I got these silicon baking cups to review, and I ended up really loving them! 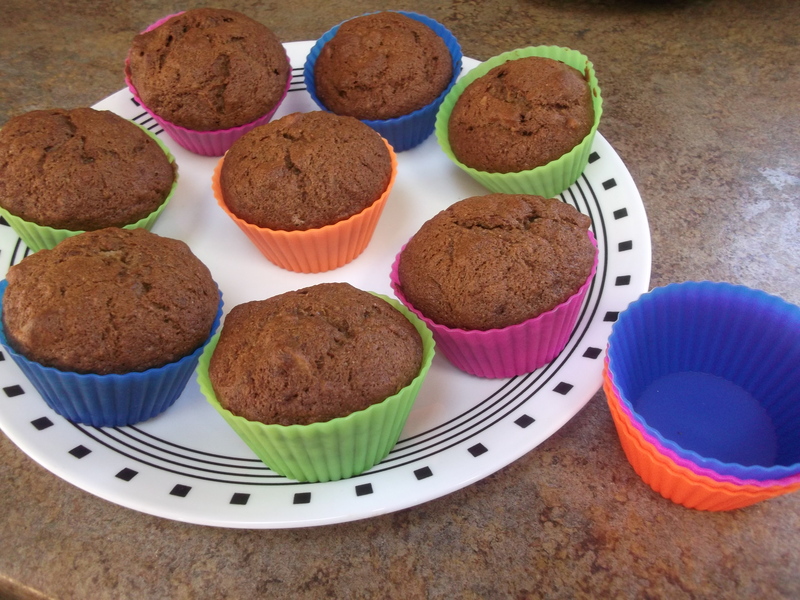 I was making a big batch of my banana nut bread and thought I’d pour some of the batter into these cups to try them as muffins. I used a regular muffin tin lined with the cups, as well as some of the cups just standing on their own in a baking dish. They turned out great! The muffins standing alone baked up just as perfectly as those in the tin, and after cooling, the cups peeled right off without any sticking. They can be a little tricky to clean, requiring a good soak and a quick scrub with a brush, but they’re so easy to use they are worth a little extra cleaning effort. I’ve used them for muffins and cupcakes several times since then and can honestly recommend them highly. Buy some here! Fun to see you writing what you love.